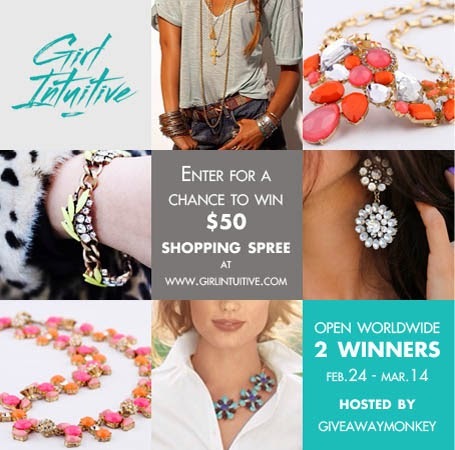 Welcome to Girl Intuitive International Giveaway where not just one.. but two lucky winners will each in a $50 gift card to buy their choice of fashionable accessories. Girl Intuitive is an online fashion jewelry boutique with a wide variety of beautiful pieces designed by many great artisans around the world. They proudly showcase all handmade pieces including the vibrant Latin American collection, the Fair Trade pieces from India and Nepal, and the stunning pieces from Africa. Giveaway Monkey has partnered with Girl Intuitive, Living As We and many other bloggers to give away TWO (2) $50 worth of Gift Cards that the lucky winners can use to buy their choice of fashionable accessories at GirlIntuitive.com. 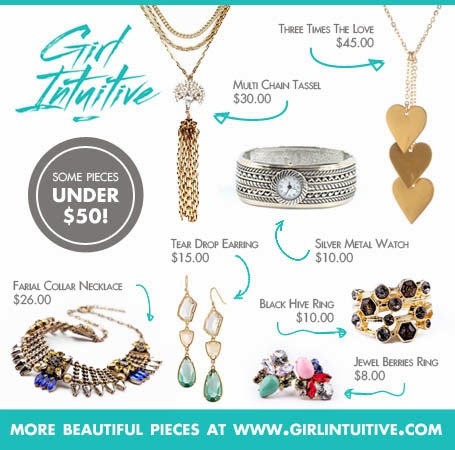 Feel free to head over to Girl Intuitive's page for all the jewelry that are available for under $20 or under $50 - some of which are shown below - to see how great this is! The winners will receive an email and will have forty-eight hours to respond. If no response is received within forty-eight hours, another winner will be chosen. Giveaway Monkey and other participating blogs are not responsible for prize fulfillment. This giveaway is in no way associated with social media sites including Facebook, Twitter and Pinterest. I love the Ava Agate Wrap Earrings in emerald. I would love to own the Coin Multiple Row Necklace. I loved the engraved coin bracelet! I loved the Frosted Youth necklace. Love the Cluster Of Pearls Bracelet-gorgeous! $100 Giveaway with Michael Phillip Cash!